The Rhode Island Campaign for Home Care Independence and Choice, an effort to provide seniors and individuals living with physical disabilities more options when determining their long term care setting was launched at the Rhode Island State House on Thursday. The new campaign, supported by senior advocates, legislators, home care workers, and allies, announced its support of passing legislation in 2018 which would create an Independent Provider (IP) option, a successful home care model in several other states including Massachusetts. The coalition has come together around three simple principles said Hollister-Isman. Choice and autonomy: People who need services should be able to direct their care and choose who provides it. Accessibility and accountability: It should be easy to find home care options and they should actually be available when you need them. Quality and consistent care: If we want a stable workforce of people willing to do this hard work, we need to train them well and pay them a living wage. Massachusetts has estimated savings of one billion dollars under an IP system. Representative Christopher Blazejewski (Democrat, District 2, East Providence, Providence) is sponsor of H7803, the House version of the legislation. David Oppenheimer, a North Kingstown resident, struggled to find consistent reliable help for his father through the existing home care network. Satta Jangaba is a caregiver from Providence. Victoria Talue has been a CNA for 19 years. For the past ten years she has been working in home care. Both patients and providers value consistency in their relationship, said Talue, and the IP program will allow that. The Rhode Island Organizing Project‘s Ray Gagne said that his group is in enthusiastic support of this idea. 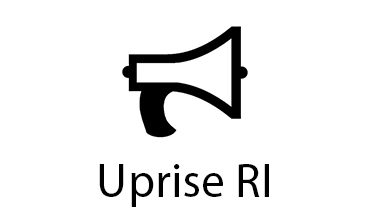 The Rhode Island Campaign for Independence and Choice is comprised of the following organizations: Senior Agenda Consortium, Rhode Island Working Families Party, Rhode Island Organizing Project, District 1199 SEIU New England, Rhode Island AFL-CIO, Economic Progress Institute and the Rhode Island Chapter of the National Organization of Women (RI NOW).